I’ve experienced many things during my travels. 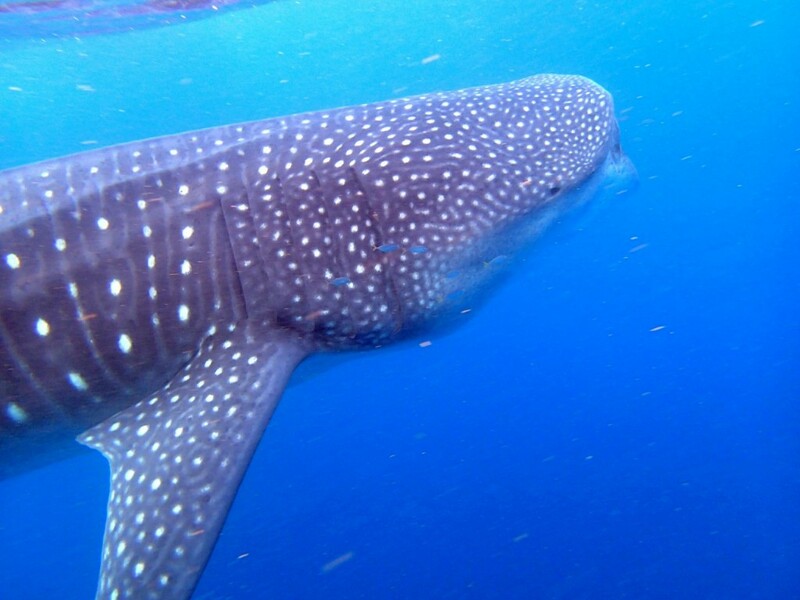 I’ve snorkeled with black tip sharks, went scuba diving with a wild moray eel, jumped off a 50 ft. cliff… but nothing compares to my recent encounter swimming with giants. 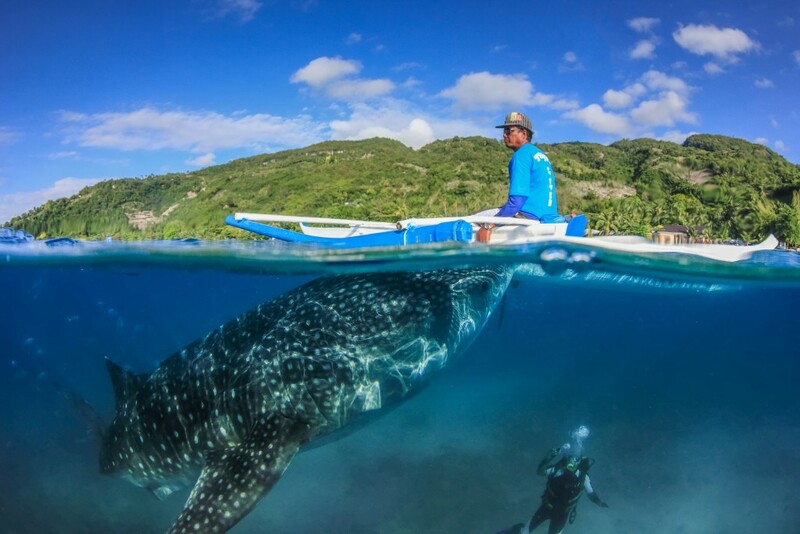 While visiting the island of Cebu, Philippines I had the chance to tour the small municipality of Oslob where majestic whale sharks can be found lazily swimming the shorelines. 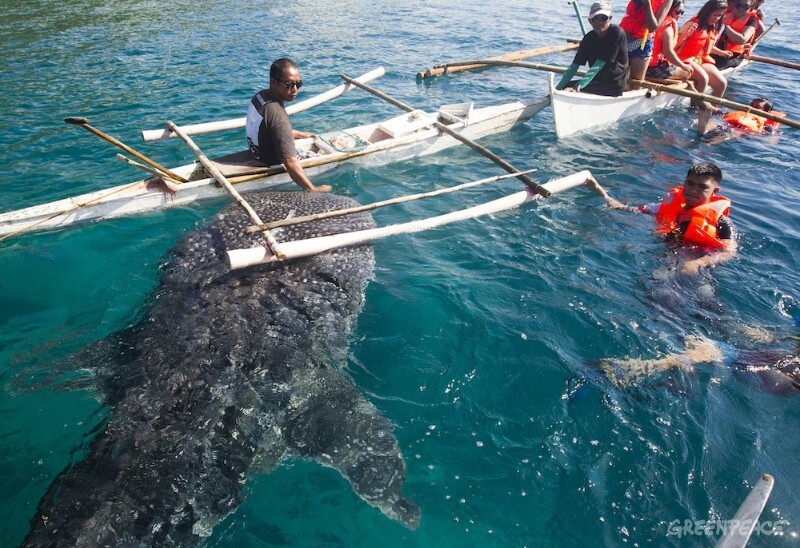 I chose to indulge in the rare opportunity to swim with these creatures and was thrilled with my encounter. 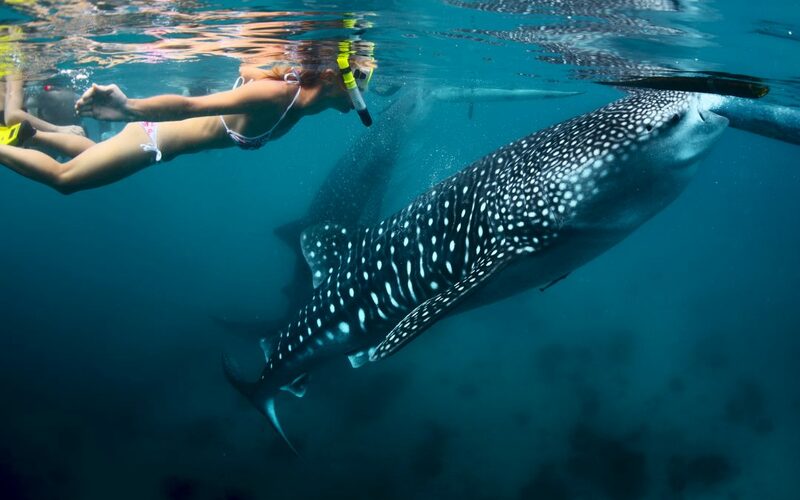 The tour is offered by Island Trek Tours, an exceptional outfit that specializes in providing safe, conscientious, interactions with the 6-meter (20-foot) plus gentle giants. What I like most about this particular outfit is that their main goal is to keep the animals safe; regardless of how many people come to see them. 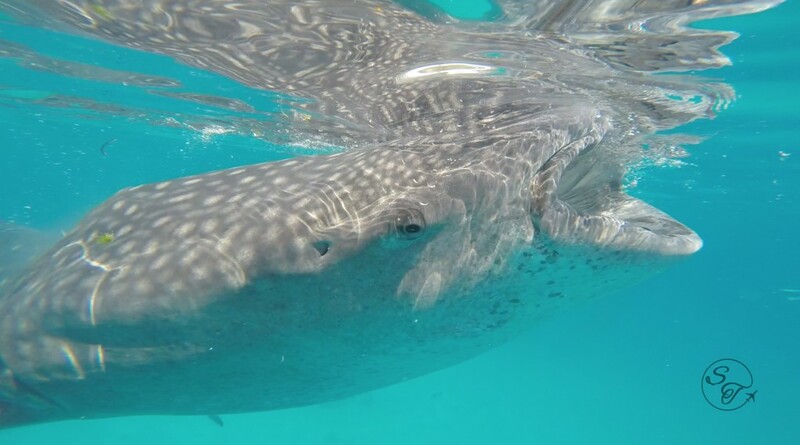 I met my guide early and was immediately directed to a mandatory, short introduction by onsite marine biologists who explained what was and wasn’t appropriate for my experience. Wearing sunblock, feeding, and touching were no-nos and I was thrilled at how much care was expressed. The tours are only offered for 6 hours a day to ensure that the animals aren’t over taxed. I was also impressed to see no containments, the whale sharks are free to come and go as they please. Since they are well feed with fresh krill, the giant fish hang around and seem to actually enjoy the interaction with the small groups that are brought out to visit them. Each group is allowed only a 30-minute time slot and, believe me, it flies by. I jumped in as soon as my small boat stopped moving and was immediately dumbstruck by the pure size of these fish. They are constantly moving and, although I physically struggled not to reach out and stroke them as I was instructed, they did thrill me with a bump or two! My encounter was made better by the expertise and friendliness of the staff. They’re knowledgeable, patient, and personable. Once they knew I wasn’t intimidated by the animals they made it a point to make sure that the whales got as close as possible. They were happy to answer my thousand questions and even joked that I could have a job there if I wanted! 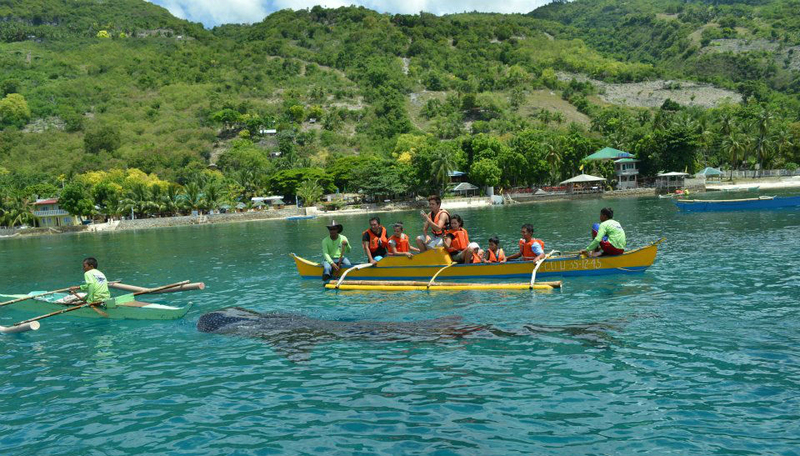 My time with the whale sharks was over far too soon and I headed in to the shore. 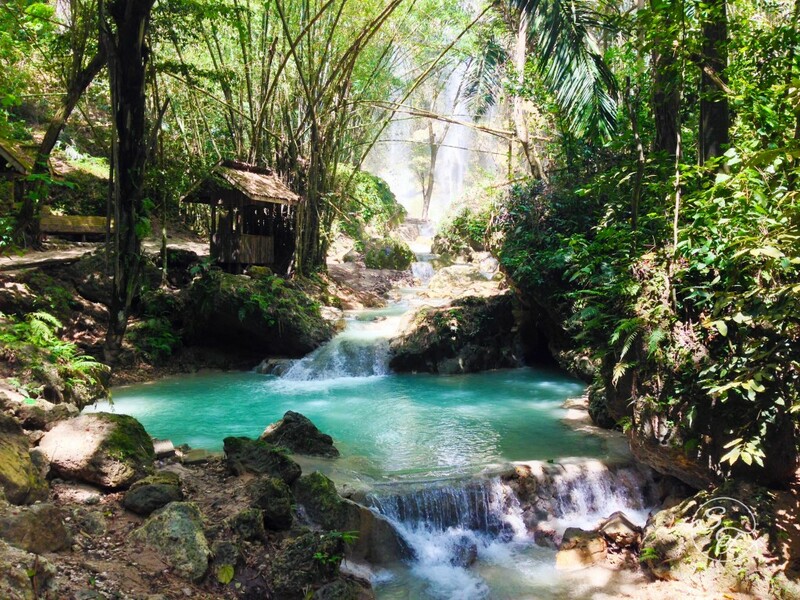 Included in my package was a trip to cool down at the nearby Tumalog Falls. So, after turning in my snorkeling gear, we headed out up a nearby road to the falls. There is a steep downhill walk but for just 30 pesos one of the locals will take you round trip to experience the breathtaking sea foam green pools. 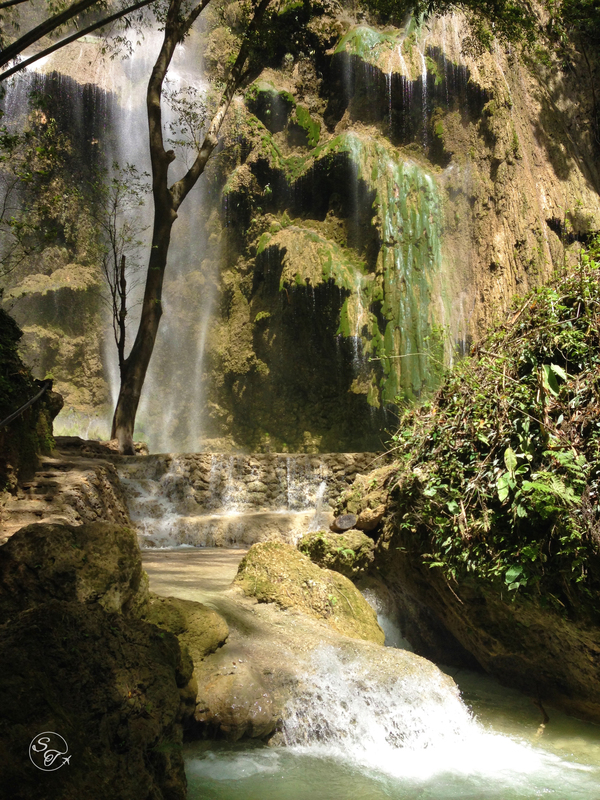 The freshwater is filtered by a multi-step, cascading gentle waterfall. 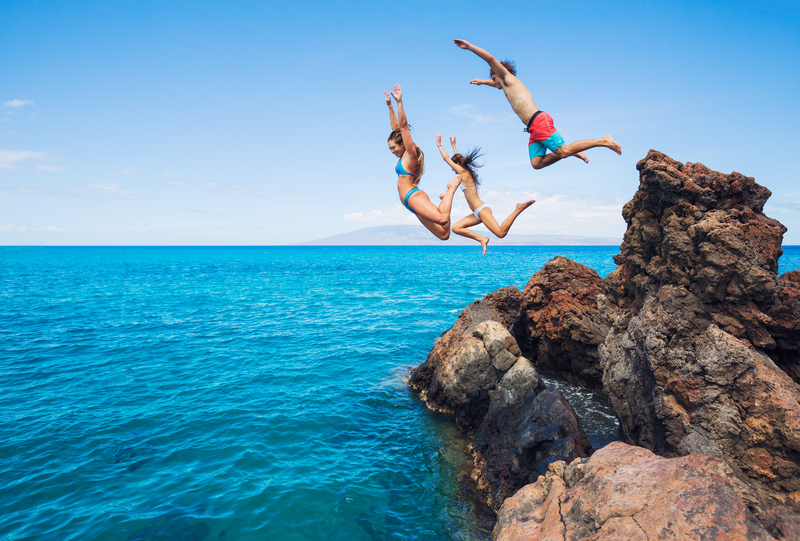 The wide, shallow basin is perfect for wading and the showers produced are just strong enough to wash off the seawater from your snorkelling experience. The views are breathtaking and, although beautiful, pictures simply don’t do it justice. This was a perfect ending to a perfect tour experience. 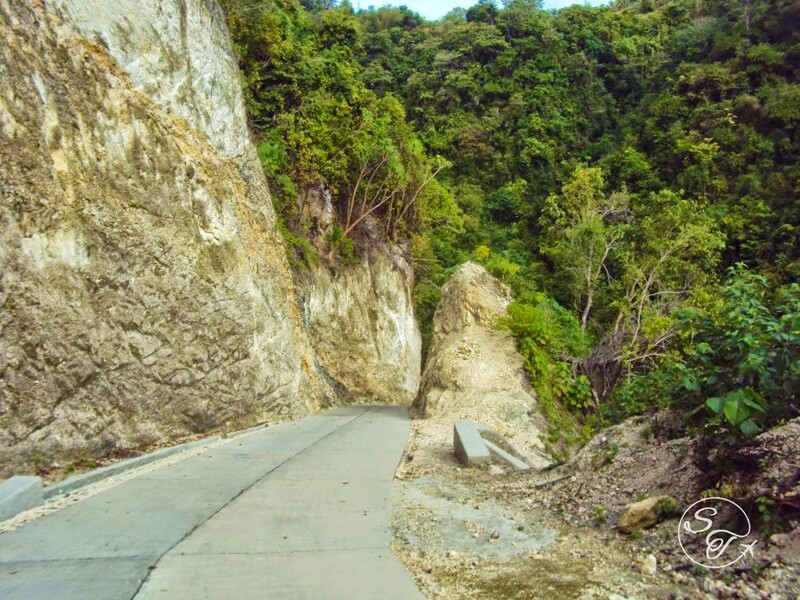 If you intend to visit Cebu I would highly recommend that you not miss out on this tour. It is one of the highlights of all my travel experiences and one that I will be doing again. I would also recommend booking with the exceptional Island Trek Tours to ensure that your encounter is the best it can be. I would like to send a special thank you to Edgar Mirambel for organizing my tour. Special thanks to the Department of Tourism Central Visayas Product Development Division for their generosity in making this trip possible and Cebu Pacific Air for providing me with transportation to their namesake island.